We wanted to make sure we were using the most advanced tools that we could, just like industry… so that we could ask our research questions in the context of the really advanced tools. … that's the reason we went with ModelCenter. Dr. Mark Blackburn, Stevens Institute of Technology. In response to the question "Why did you select ModelCenter for your research projects?" …the software provided by Phoenix Integration is unique in its ability to create analysis frameworks from a SysML model that can use a large variety of other modeling tools to conduct the analytics. CIMdata is confident that Phoenix Integration will indeed be a company that can help speed up the evolution to a model-based systems engineering environment for its customers. We have had such a long relationship with Phoenix Integration and we’ve accomplished so much with the Phoenix integration products. ModelCenter was a major contributor to our success and allowed us to deliver superior performance on a set of increasingly complex challenge problems. David Brown, Sr. Principal Analyst, Project Principal Investigator, Innovative Decisions Inc. Without ModelCenter, previously manual integration used to take us 2 - 3 months, potentially causing us to miss project due date. Right now, when we integrate different models from modelers in ModelCenter, it takes us couple hours. 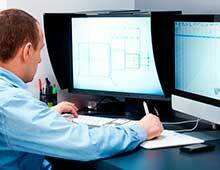 Phoenix Integration's ModelCenter® is the environment for Model Based Engineering.